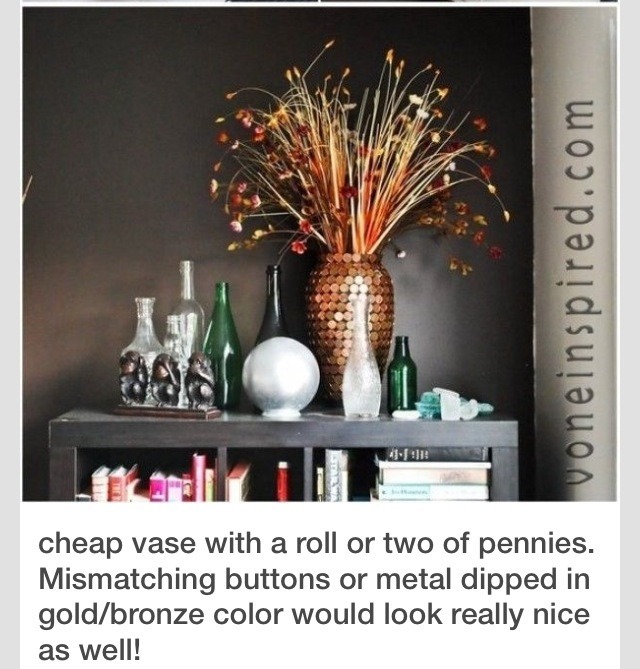 Make A Beautiful And Trendy Vase For Pennies! Get an old vase from the secondhand store. Paint it matte black. 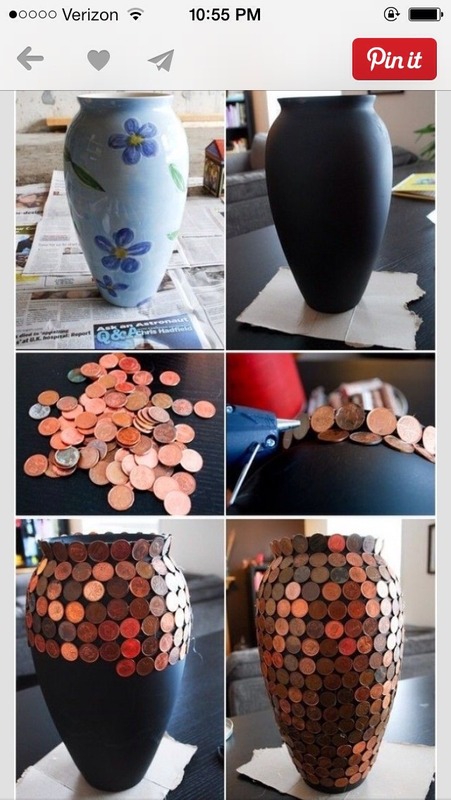 Begin to glue on pennies from the top down using a hot glue gun. After your finished this is what it looks like. You could spray paint a clear finish to shine it up or just leave it the way it is. Great idea! I want to do it. I saw it on Pinterest.